Congratulations to Keyo Tremblay, Candace Free, John Coverdale, Marcia Reed, Barbara Simmons, Shahin Ostovar, Phyllis Williams, Tom Hodgson, and the entire Gorge Road Hospital Nursing Team, recipients of Caring Spirit awards for conscientious patient care! A grateful patient has made a donation in their honour in tribute to their experiences in care. This generosity will directly help to continue and improve patient care. Thank you. Residential Care facilities, like Gorge Road Hospital, provide 24-hour professional care and supervision to adults in a supportive, secure environment. Publicly subsidized Residential Care Services are available to adults with complex medical and cognitive care needs and an assessed and urgent need for 24-hour care. Services are aimed at meeting the complex health needs of those admitted to a facility and include: accommodation; 24-hour nursing care; other professional services such as nursing, physical therapy, social work and nutritional support; hospitality services (meals, housekeeping, recreational activity programs, emergency response); personal care assistance; and end-of-life care. A Recreation Therapy coordinator organizes daily activities, monthly birthday parties, bus outings, music entertainment, and seasonal events. The facility employs two recreation therapists and rehabilitation assistants. The Victoria Hospitals Foundation would like to thank the Caring Spirit donors for their generous gifts and congratulate Keyo Tremblay, Candace Free, John Coverdale, Marcia Reed, Barbara Simmons, Shahin Ostovar, Phyllis Williams, Tom Hodgson, and the entire Gorge Road Hospital Nursing Team on the well-earned distinction! 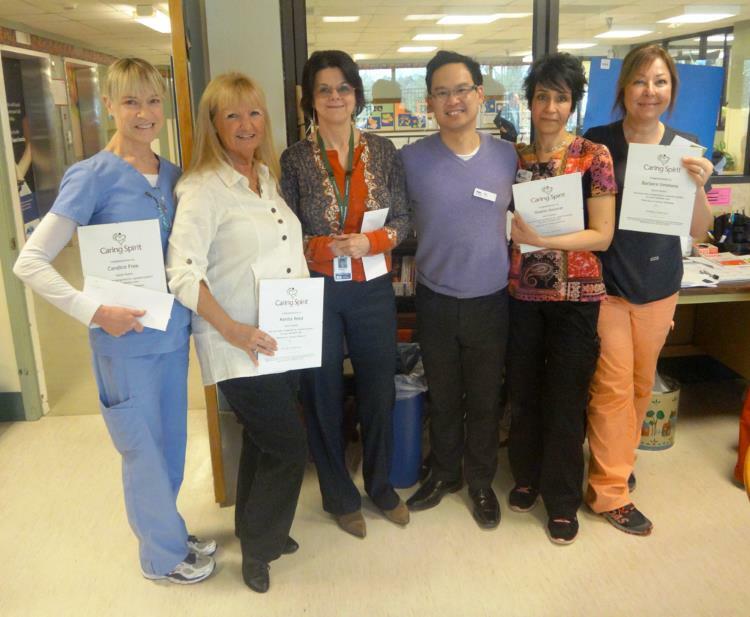 Service like theirs immeasurably improves quality of life for patients on Vancouver Island.